Martin E. Brown, M.D., M.Sc. Neuromuscular medicine is an emerging subspecialty within the field of neurology which involves the diagnosis and management of disorders of nerve, muscle or the neuromuscular junction. This includes motor neuron diseases such as amyotrophic lateral sclerosis, peripheral neuropathies (e.g. diabetic and immune-mediated neuropathies), inherited myopathies (e.g. muscular dystrophy), acquired myopathies (e.g. polymyositis, inclusion body myositis), and neuromuscular transmission disorders (e.g. myasthenia gravis). 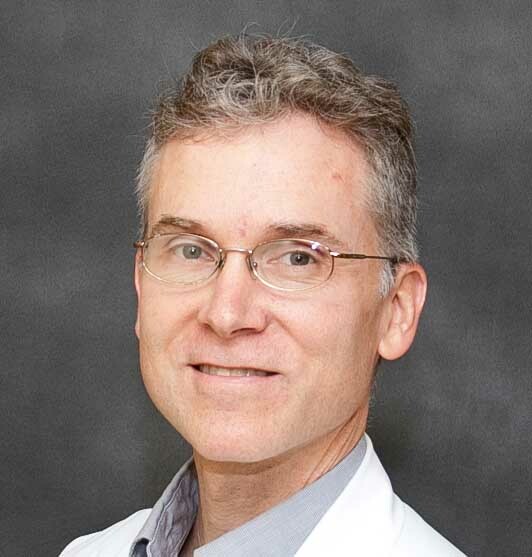 Dr. Martin Brown is a graduate of the UofL School of Medicine. He completed a UofL residency in neurology in 2006, sharing the role of chief resident in his final year. He completed a fellowship in Neuromuscular Medicine at Wake Forest University in 2007. He returned to Louisville to establish the Division of Neuromuscular Medicine in the Neurology Department. He has worked with the director of pediatric neurology, Dr. Vinay Puri, in creating a pediatric neuromuscular clinic affiliated with Louisville’s Norton Children’s Hospital. He is director of the neurodiagnostic laboratory in the UofL Health Care Outpatient Center, where he also directs the ALS clinic. Amyotrophic Lateral Sclerosis, Myasthenia Gravis, CIDP and other Inflammatory Neuropathies, Muscular Dystrophy, and Polymyositis. M.S. Cartwright, L.V. Passmore, J.S. Yoon, M.E. Brown, J.B. Caress, F.O. Walker. Cross-sectional area reference values for nerve ultrasonography. Muscle & Nerve. 37(5):566-71, 2008 May.